Gas resources can be stored in several different ways. It is, in particular, possible to store volumes of gas in underground cavities or caverns. In this situation, it is necessary to be able to measure fluctuations in stock. the financial value of the gas store. Levels are measured using two tubes situated in a casing that rise to the surface. The casing is made up of a 12″ diameter tube for the upper part and 8″ for the part containing the measuring tubes. These two sections of casing are separated by a plug in order to secure the cavern by isolating it from the surface. A Reflectors tube to discretise the measuring space and to take into account the temperature gradients inside the cavern. 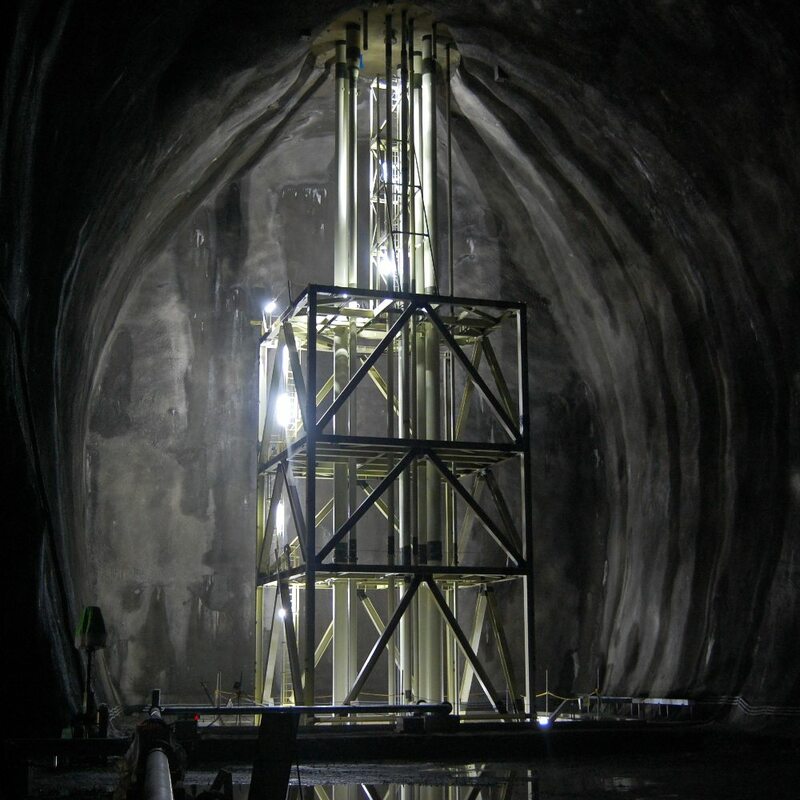 The reflectors (or targets) are stainless steel sheets arranged at known distances from the probe, enabling the celerity at various levels in the tube (significant temperature gradients can exist in the lower part of the cavern) to be calculated using a time measurement. The level is then measured by adding the position of the final activated reflector and the distance between this reflector and the level (equal to the difference in time between the reflector and the level multiplied by the celerity, calculated using the final section of activated reflectors). For more information about our product, please contact our sales department by telephone at +33 (0)1 30 27 27 37.